Bugyal in the local mountain dialect means “High Altitude Meadow”. Trekking to Dayara Bugyal is one of the most beautiful places in Uttaranchal, situated at an elevation ranging from 10,000 – 12,000 ft. This vast meadow is second to none in natural beauty in Uttarakhand trekking circuit. The possibility of Nordic as well as Alpine skiing are immense here, since during winter it provides one of the best ski slopes in India spread over an area of 28 sq/kms, one can combine a trek and ski during winter trekking season. Dayara Bugyal trek starts from two places Barsu and Raithal. The road to Dayara Bugyal branches off near Bhatwari- a little township on Uttarkashi Gangotri road about 35 kms. 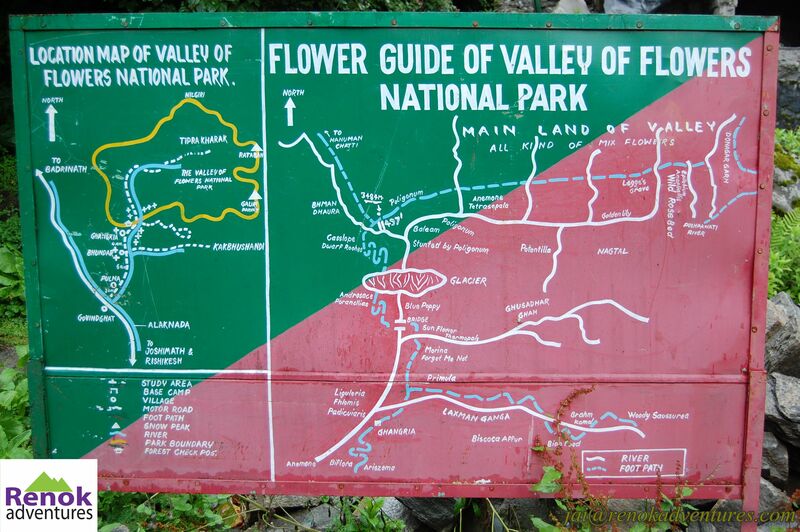 From Uttarkashi, Vehicles can go up to the village of Raithal from where one has to trek a steep incline covering a distance of about 7 kms to reach Dayara and the other route is via village Barsu, 10 kms from Bhatwari from where one has to trek about 8kms to Dayara Bugyal. 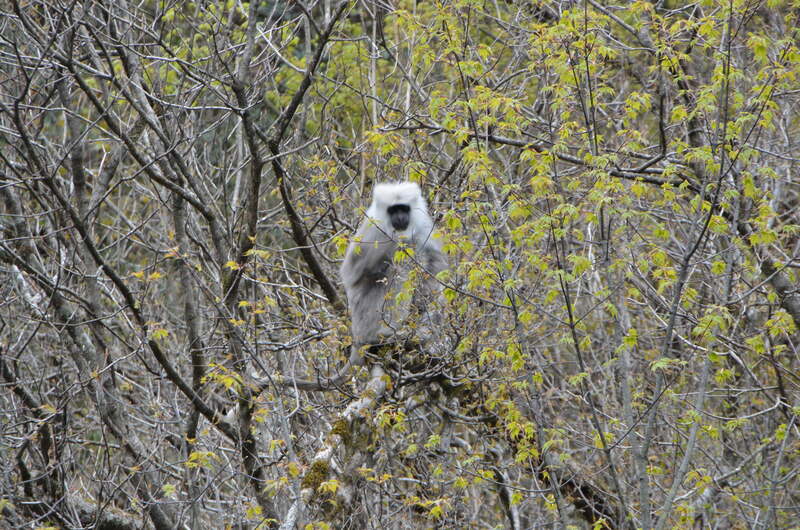 Gray langurs or Hanuman langurs, the most widespread langurs of South Asia, are a group of Old World monkeys constituting the entirety of the genus Semnopithecus. This is the best time for birding as all the birds descends from high altitude to lower altitudes due to drop in temperatures. Arrive at Dehradun/Haridwar in the morning, freshen up, have breakfast and leave for Barsu village Lunch on the way. Arrive at Camp by late afternoon and relax with a hot cup of tea and prepare yourself for trekking in Himalayas. The camp overlooks the Himalayan peaks of Gangotri I, II and III, Jaunli, Draupdi ka Danda and Srikanth. Have an early breakfast and get ready for a trekking to Barnala lake (2700 m) about 5 hours away. Trek through the dense forest of Pine and Oak trees. Lunch enroute. Reach Barnala by late afternoon. Explore the forest around the lake and do some bird watching. 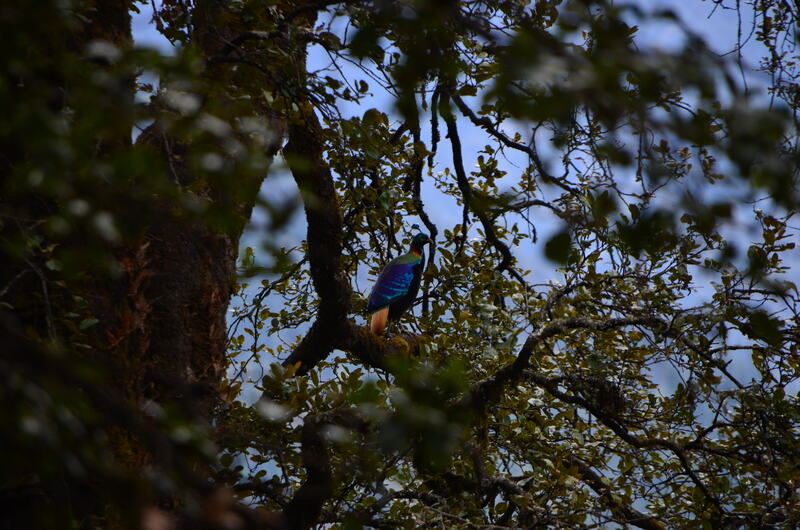 Barnala is great for bird watching, the most common birds here Whistling Thrush, Red Finch, Monal Pheasant, Koklas etc. Overnight stay in tents. Wake up to a lovely sunrise and walk a little higher for a nice view of Bandarpoonch (6500 mtrs). After breakfast, we will start trekking to village Raithal. Reach camp by early evening. Relax with a hot cup of tea and sumptuous dinner with bonfire. Overnight stay in tents. After breakfast leave for Dehradun/Haridwar. Lunch on way, arrive by late afternoon and catch train to go home..